Ever since I can remember, my skin has always leaned towards the drier spectre. I remember the frustrating dry spots on my face which got worse when I moved to Canada. The low humidity and temperamental weather didn't help matters and when I discovered the benefits of facial oils, I never looked back. And I have tried, loved and hated many facial oils but it's safe to say, I have finally found the one. 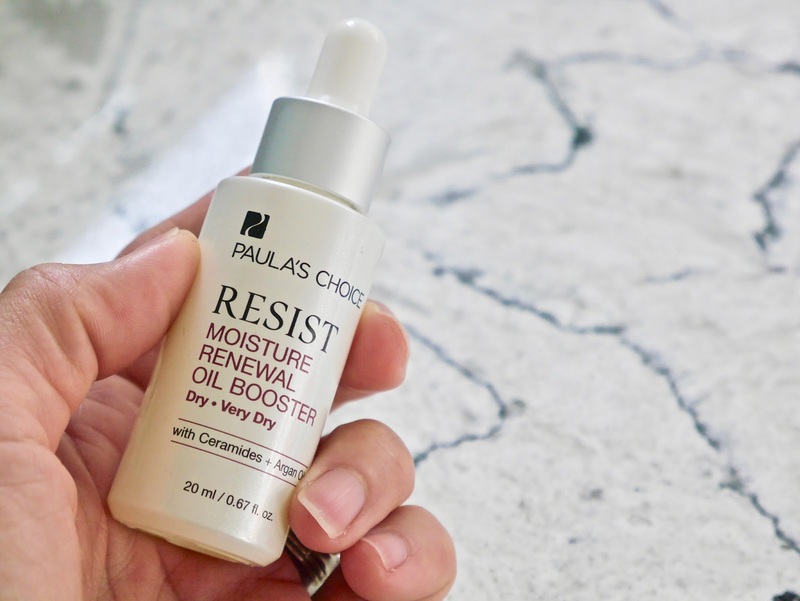 Let me introduce to you, Paula's Choice Moisture Renewal Oil Booster*, the love of my life. The first thing that I noticed about this precious oil is it contains only 20mL as opposed to the usual 30mL that I've seen. I did frown on this thinking that I would go through this bottle quickly but this oil is so concentrated that using 3 drops on its own is way too much for my dry skin. This rich oil is a blend of nine non-fragrant plant oils which are rich in antioxidants and fatty acids. On top of that, it also contains ceramide to renew and strengthen the skin and cholesterol for hydration. The texture is slightly thicker than your usual facial oils and I didn't detect any notable scent to it. It's suggested to use it on its own or add it to your serum or moisturizer. I love adding a drop to my night cream especially the lighter ones for added hydration and richness. 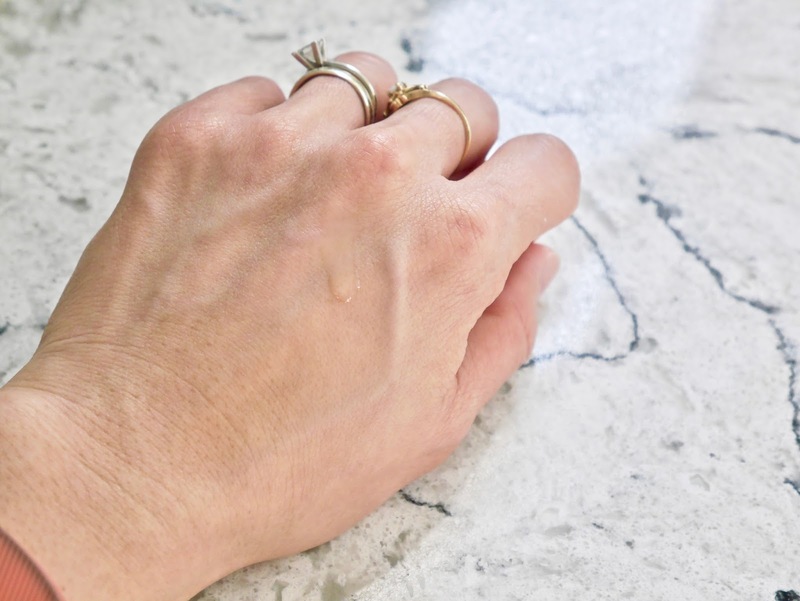 On the rare days when my skin is feeling parched and looking dull and lack-lustre, I will mist my face, warm up two drops in between my palms and pat it on top of my moisturizer as the last step of my routine. Is there a downside to this oil? Honestly I can't think of one. The ingredient list is short and filled with goodness and I believe sensitive, combination and oily skin lovelies would also benefit by using this instead of a moisturizer on some days. 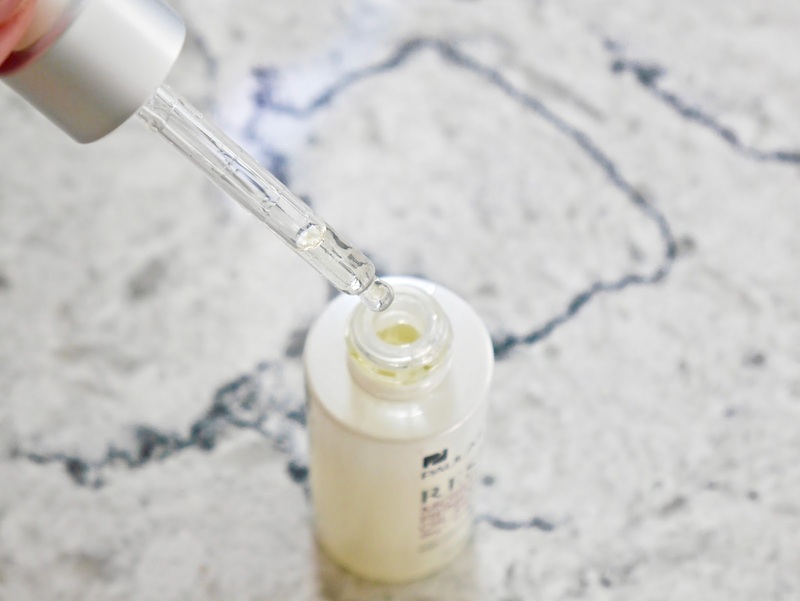 This oil has given life back to my skin and is one of the reasons why I have been rocking the K-beauty glass skin trend. The next time you see the glow, you'll know that this little bottle of precious oil has everything to do with it. *Product marked with * was received for free but my thoughts and opinions are 100% unbiased, honest and my own. There is no place for any sort of BS here.